Innocent Sport? T.L. Busby, 1826. Credit: Wellcome Library, London. Among the papers of the Newdigate family of Arbury Hall (Warwickshire), I found a pile of loose eighteenth-century recipes. 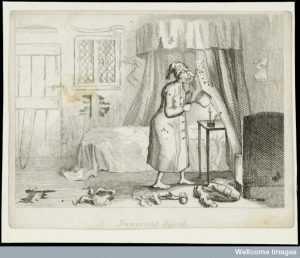 The recipes are practical in nature: remedies for minor ailments, plasters and such for home renovation, medicines for animals, and poisons for killing vermin. It was the poisons that captured my imagination, as such recipes have not appeared in the early modern recipe books that I’ve examined—despite the troubles that would have been caused by vermin on a daily basis. A comparison of the Newdigate recipes with published early modern ones reveals an interesting process of knowledge transmission. Similar recipes to these appear in a horrible little book, The Vermin-Killer, which was published in seventeen different versions between 1680 and 1790. A how-to manual on the best ways of ridding the household of any type of vermin from adders to weasels, this book includes instructions on trapping (and torturing) animals, as well as several recipes for poison. In 1680, The Vermin-Killer recommended laying a paste of hellebore leaves, wheat flour, and honey into the holes, ‘where the Rats and Mice come, and when they have eat of it, its Present Death. Approved Paxamus [1st century Greek author of a cookbook]’ (1). A combination of white hellebore, wheat flower, egg white, milk, and wine was also used to get rid of moles: ‘lay little cakes of it in the mouth of the holes, and the Moulds will greedily eat of it, and it certainly kills them, approved Pliny [1st century Roman natural philosopher]’ (10). By 1710, the book was now rather more grandly titled, The Compleat English and French Vermin-Killer: being a Companion for All Families. The recipes had also changed slightly. To kill rats and mice, the recipe included wheat or barley-flour mixed with honey, metheglin (mead), and bitter almonds, though ‘I think if you mix a little of Helibore Leaves, powder’d with it, its better’ (5). The section on moles was greatly expanded. 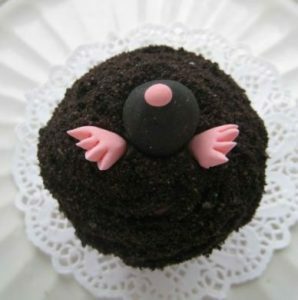 It included a version of the 1680 recipe in which moles could be destroyed with nut-size ‘pellets’ of the following ingredients strewn about their holes: white or black hellebore, wheat-flour, egg white, milk, and sweet wine or metheglin. The moles would eat the pellets ‘with Pleasure, and it kills them. Approv’d’ (9). But it added one more similar to the Newdigate recipe: pellets made of white hellebore, Palmus Christi root, barley meal, egg white, and wine or mead or milk. This was also ‘Approv’d’ (14). Credit: Michael David Hill, 2005, Wikimedia Commons. The Vermin-Killer: being a compleat and necessary family-book (1765), drastically changed its layout. Whereas previous editions had started with rats and mice, the mid-eighteenth-century priority (if placement in the book is anything to go by) was bedbugs and lice. The recipes had also been updated. The one to kill rats and mice was nearly the same, but added at the end: ‘Hemlock seed thrown into their holes, kills them’ (10). As to the moles, both recipes remained the same as the 1710 edition, although the ‘approv’d’ tag was dropped for both; indeed, similar tags had been removed from other recipes throughout the book (13, 16). In 1790, the book was reduced to an eight-page pamphlet: The Vermin-Killer, being a very necessary Family Book. But two recipes were retained. The latest version for killing rats and mice dropped the hemlock and listed fewer ingredients: hellebore leaves, wheat flour and honey (1). Only the first recipe to kill moles remained, but was closer to the 1680 version, specifying once more white hellebore, calling them ‘little cakes’ rather than ‘pellets’, and describing the moles as ‘greedily’ eating them (4). Although the Newdigate papers listed Mr. Pennant as the source for both recipes, it’s clear that the two recipes came from a long tradition, dating in print to at least 1680 and, in manuscript, to the first century. These recipes, however, were clearly in wider circulation than even The Vermin-Killer editions would suggest. For example, I came across the same recipes in The Sportsman’s Dictionary (1778) and the American Stockport Advertiser: Notes and Queries vol. 4 (1884). 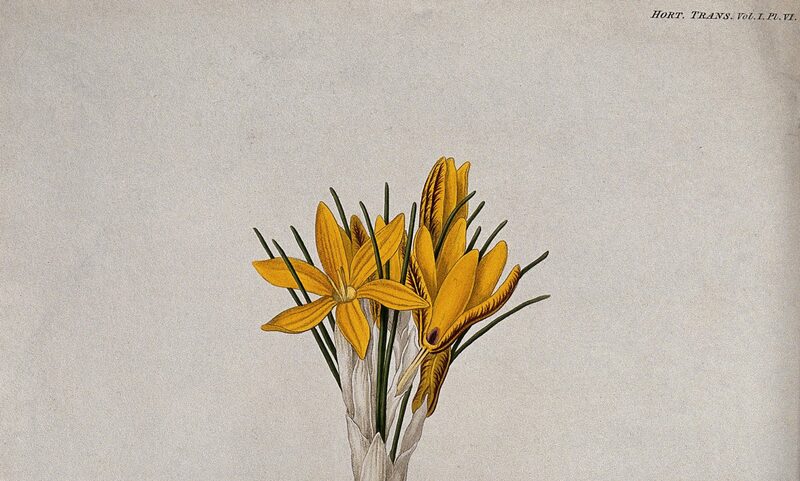 The Naturalist’s Pocket Magazine (1799) refers to the naturalist Thomas Pennant’s recommendation of Palmus Christi oil and hellebore to kill moles (27). Although this is likely the same Pennant referred to by the Newdigates, it is probable that The Vermin-Killer was his source, given his dates (1726-1798). I have so far been unable to trace the book in which Pennant discussed killing moles. The Newdigates’ ingredient lists and directions are much briefer, suggesting implied—and possibly practiced—knowledge. Obviously a powder of wheat and hellebore would be less tempting than if it was mixed with something sweet, which would also ensure that the poison stuck to the rodent. (This is the logic specified in other similar recipes in The Vermin-Killer.) As to the recipe to destroy moles, the reference to ‘made into a paste’ suggests an implied knowledge of how to make a paste in the first place. The ingredients remained, more or less, the same over the centuries, suggesting that the recipes were considered useful enough to remain in circulation. However, two issues were new in the eighteenth century. The first is the way in which printed recipes moved away from traditional statements of efficacy. The classical authorities were first dropped (1710), and then the ‘approv’d’ by mid-century. A new form of authority had emerged—that of the learned man of science, Thomas Pennant, who was attributed as the source for a recipe much older than him! One did not have to create knowledge to be credited; one need only be a contemporary authority who deemed the recipe useful. 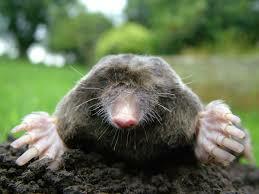 The second relates to the perception of moles and their behaviour. Mary Fissell has written about the early modern personification of vermin, which emphasised their thieving and greedy behaviour that was a threat to social order. In the Newdigate recipes, there are no references to greedy moles tempted by fanciful little cakes. This is also a description that fades out over the eighteenth century, although it returned in the 1790 version, which is curious. Was the later re-emergence of the description tied more to the growing romantic view of nature than the earlier threat to survival? Or to a growing social concern with the frivolity and parasitic behaviour of the blind, governing elite who also ate little cakes? The relationship between recipes in print and manuscript is not always so clear-cut, but comparison can be fruitful in uncovering details about the transmission of knowledge: shifting cultural interpretations, changing ideas about efficacy and authority, and usage. Lisa – Jen and I were writing about a similar thing in Shakespeare and Ecofeminist Theory while you were writing this! It’s in the air. !